Custom Culinary of Oswego, Ill., is recalling approximately 9,444 pounds of chicken and beef base paste. The products’ labels incorrectly identified the products as chicken, but may contain beef. Additionally, the products contain soy, an allergen not declared on the label. 6-lb. 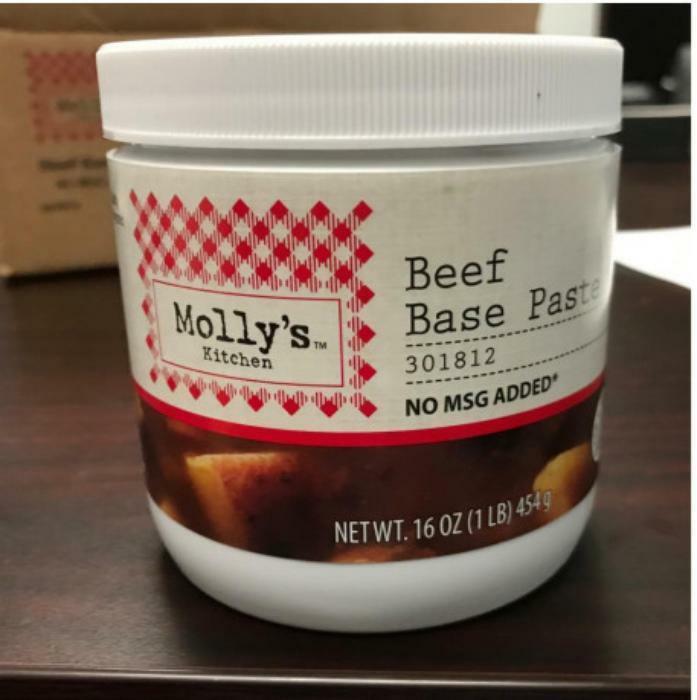 corrugate case “Molly’s Kitchen Soup Base Paste Beef Base Paste - NO MSG Added with a lot code of 72505 239497 or 72505 239498. The products subject to recall bear establishment number “EST. 2016” or “EST. P-1278” inside the USDA mark of inspection. The recalled products were shipped to food service distributors nationwide. Consumers with questions may contact Scott Freitag at (630) 299-0501.